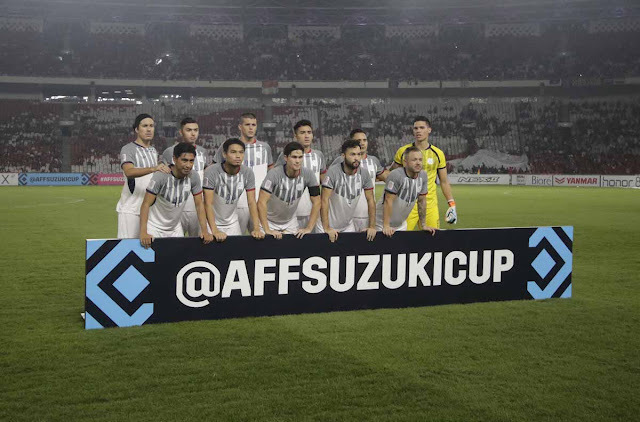 MANILA – For the fourth time in the history of their campaign in AFF Suzuki Cup, the Philippines advanced anew to the semifinal. However, there is a barrier that they need to jump in order to produce another historical achievement on their stint and it will against their familiar foe, Vietnam. Manager Sven-Göran Eriksson admitted that they have a hard time playing in Bung Karno last Sunday but it was a huge lesson for them as the hostile Indonesia crowd gave them many lessons ahead of their tiff with the Group A winners. What would be the checklist of the team that expected to address before the heavyweight two-legged tie against the former ASEAN champions? In their first game at home against the four-time titlists, they were expected to a huge win, but thanks to Hassan Sunny’s stoic netminding, had to settle with a 1-0 result. In fact, Azkals really dominated the stats in offensive matters – however, the issue of poor finishing can reflect so – with 2/3 of their total attempts off target despite passing the ball better at 73%. Yet, John-Patrick Strauss was the biggest revelation on our attack, as he is the one who makes the accurate plays to the middle flank going to penalty area and Patrick Reichelt considering the most underrated of the bunch gave the crucial goal to win against Lions, their first ever against the Singaporeans. It is easy to say that win is a win but you may not easily impress of what the Azkals did against lighter Timor Leste, and that “lighter” antagonist was the factor on their defensive inconsistencies and stagnancies. The experienced Paul Mulders was ironically be noted as one the inconsistent in this match against the group doormats as his play at centre-half was exposed at the restart in their as he forced Nataniel to a penalty and let Joao Pedro freed to a one-on-one situation with goalie Michael Falkesgaard. Despite the ugly Azkals win, you may also impressed with the Timorean defense as they blocked seven shots and saved three on-target goals. They are also fine in offensive stats with 12 shot attempts with 26% accurate and 78% completed passes. Lesson learned to this game? Don’t celebrate early when your team up by big goal margin. With Mulders being tortured on his performance, Alvaro Silva was the solution the former England boss needed, and was put to work right away after getting his much-needed clearance and bossed around at the heart of the Azkals defence in which they held their fort for much of the contest. When Supachai Jaided put the Thais ahead in the second half, it looked like another heartbreak will be on the cards, until Jovin Bedic saved us two points to not just earn our second stalemate against the War Elephants, but also eliminate Indonesia from semifinal contention. The draw, written under these circumstances, has activated the long-standing cliche of the Filipino fighting heart. That and alongside, Eriksson's glorious career has set a reminder that the Azkals will not be playing in fear. Ahead of Vietnam on Sunday, getting into the semifinals was a job half-done already, but with the chance to create further history ahead of our Asian Cup debut, who knows what the legendary gaffer will bring us to the table. After all, the ball is round in football. Anything can happen.